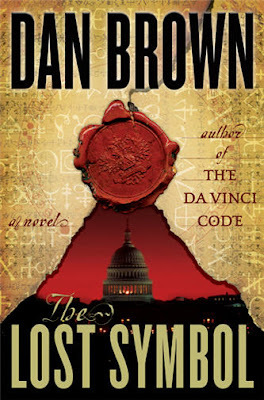 Dan Brown's third installment of Robert Langdon's adventure is set on Washington D.C. and revolves around the Freemasons. The usual formula includes a 24-hour non-stop action, Langdon Girl (707 much? ), secret society, arts and monuments and a raving lunatic villain. At first I was like this is going to be so predictable. But as I read on further I'm plunged to the very familiar but exciting ride. You think you know it but you actually don't. You think it's over but it's far from it. Brown surprises me with the never ending twists. He still amazes me with intricate weaving of the landmarks, paintings, science, philosophy, history and symbols. I was quite proud with myself when I was able to decipher one of the simplest riddle but of course I was clueless of what it meant. I have mixed feelings with the ending. Like it's predecessors the ending is actually the beginning itself but it ends weakly. The oxymoron might be his grand scheme of things but I didn't get the joke. I'm guessing the theme of his next two books might be Alumbrados or Rosicrucians as Brown tends to be repetitive with his jargon. I think it's timely that he chose an American setting as he himself and his character are both Americans. It's intriguing to learn about trivia and theories of a seemingly modern country. The former two novels dealt with antiquated European cities and centuries old secret societies. But of course the movie 'National Treasure' spoiled the novelty.